Summer will end and autumn will arrive. The leaves will fall off the trees, some will fall and die but most will spring back to life the following year. Yet as you walk through the woodland you will find the tree of life that does not lose its leaves and continues to live in the woodland through the autumn and winter. This hand drawing depicts the scene in the woodland with the tree of life standing strong with its roots spread far, feeding from the nutrients and water in the soil below, whilst other trees around become dormant. 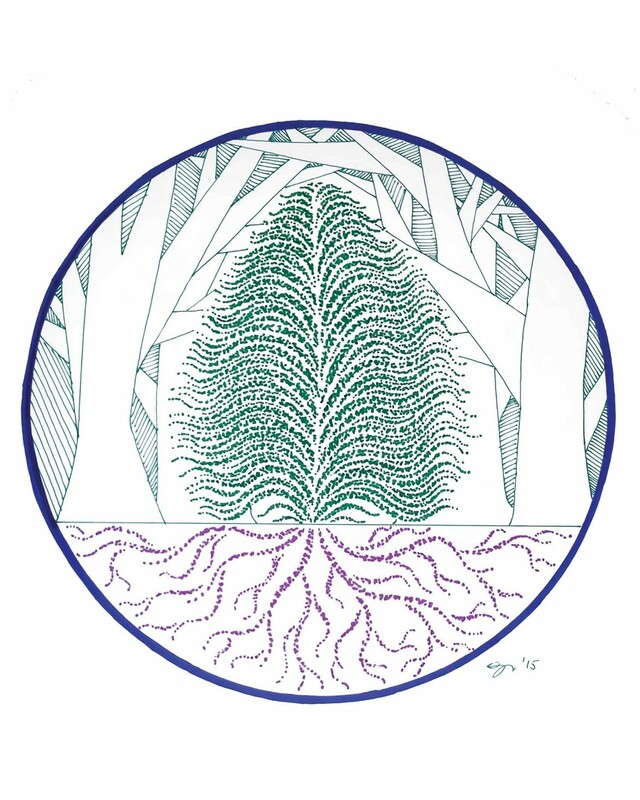 The circle frame to this drawing focuses us into the centre and the uniqueness of the tree in the centre of the woodland.